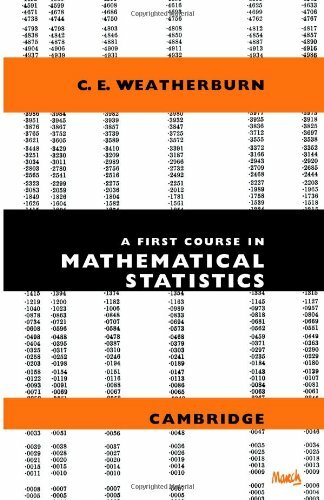 This book provides the mathematical foundations of statistics. Its aim is to explain the principles, to prove the formulae to give validity to the methods employed in the interpretation of statistical data. Many examples are included but, since the primary emphasis is on the underlying theory, it is of interest to students of a wide variety of subjects. A Handbook for Statistics provides readers with an overview of common statistical methods used in a wide variety of disciplines. The book focuses on giving the intuition behind the methods as well as how to execute methods using Microsoft Excel.